On Sunday November 6, the 1st “PIGASUS” Mixed Team Coed Slowpitch Tournament took place at the Helleniko Softball fields with great success. 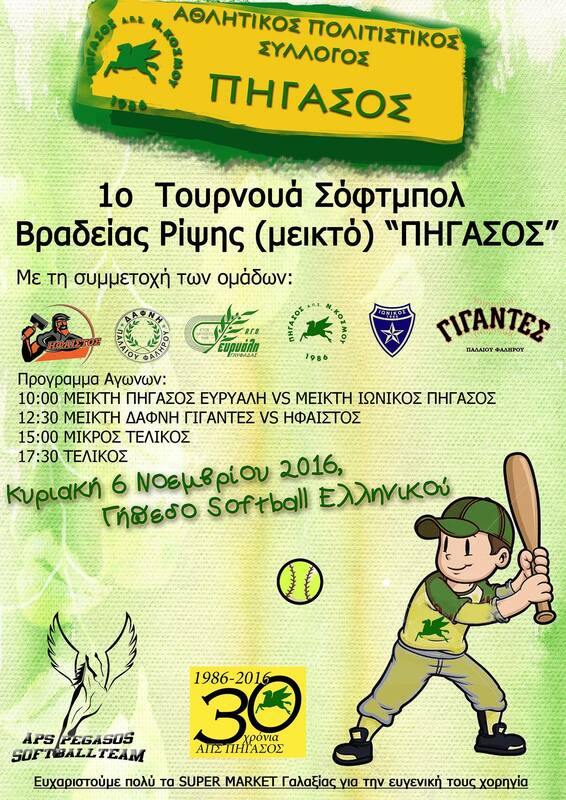 The tournament was organized by the Pigasus Neos Kosmos softball club. The teams paired up and competed against each other showcasing some excellent softball.